Guide price is per person. Based on 2 people sharing for 7 nights on Half Board. Departs from selected UK airports. Please call for more details, dates and durations. 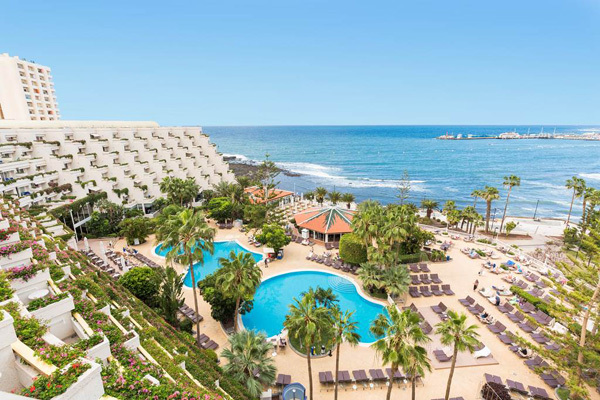 For a luxurious adult only break in Los Cristianos look no further than the Spring Arona Gran Hotel & Spa. 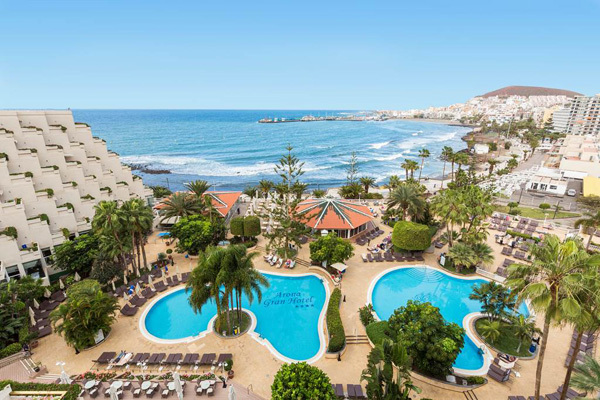 Sitting on the sea front and offering wonderful views of Los Cristianos Bay, this hotel is a great choice for a break for couples and friends alike. 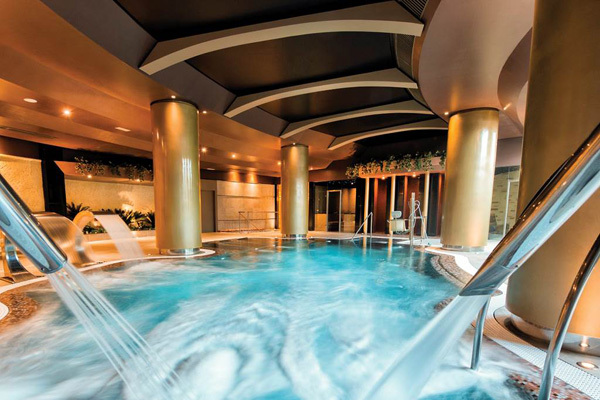 The hotel is stylish with modern design throughout and has a choice of three pools, three bars, two restaurants and a Thalasso Spa. 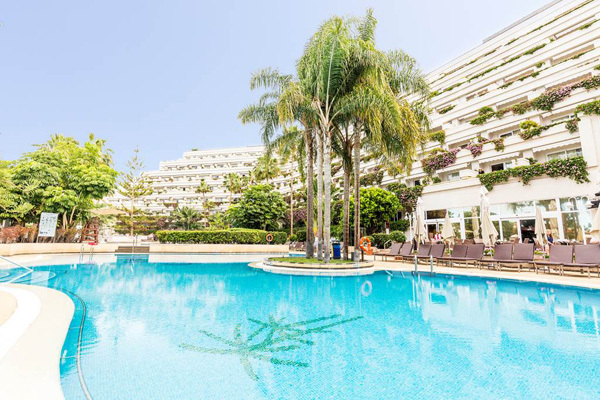 LOCATION: On the seafront promenade • 300m to sandy beach • 800m to resort centre. FACILITIES & ACTIVITIES: Two outdoor swimming pools (heated & freshwater) •Infinity Pool and Whirlpool on roof terrace (Exclusive to UP Service rooms) • Sun Terraces with sunbeds, Balinese beds and parasols • 3 Bars • 2 restaurants • Air Conditioned Gym • Bowling Alley •Daytime Activities • Evening Entertainment including music, professional shows and quiz evenings • Thalasso Spa* - sensory showers, plunge pool, sauna, steam room, Turkish bath, whirlpool, ice bucket, relaxation beds and massage treatments (min age 18yrs). (Open between 10.00am and 6.00pm). 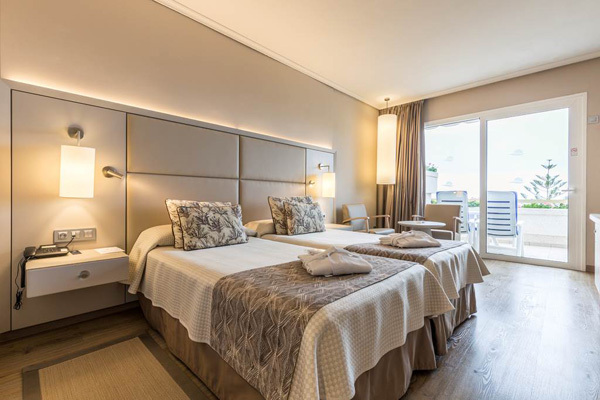 ACCOMMODATION: Standard rooms (two−three people) have twin/double beds plus extra bed, air conditioning, coffee making facilities, bathrobe and slippers, flat screen TV, Wi-Fi, full bathroom with a bath or shower and a balcony or terrace.